A house is more than a dream for everyone and when it comes to getting its interiors done, utmost care is taken so that it has the exact outlook that was planned for. A major part of this is flooring where it is also a critical decision of what material must be used for it. In fact, the whole elegance of the house depends on this huge decision. There have been two conventional materials that the people have chosen all these years of which one is Marble while the other is Tile. It is also the most seen in almost all the places. The material that came by is wood where it has become more of a style quotient that adds richness to its look. People have been very adamant about their needs when their dream home is being built and the same applies to the residents of Kerala. Keralites are keen on what they really want and remain stern on it, no matter if it is an individual house, a flat or an apartment. The builders make sure that they seek the personal preference of the people when they purchase the flats when it is in the construction level. The people have to pay extra for their preference but they can always get what they want to be done in their dream house. But there is no revert option once the decision has been made. Everything has its pros and cons and so does flooring. 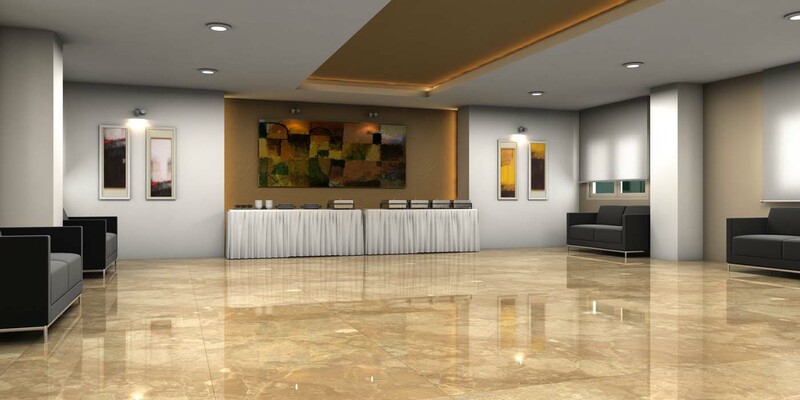 When it comes to Marble, it is really resistant and is easy to maintain. The cost is comparatively high but it serves the purpose for a longer period than expected. The negative part is that the people have to see to it that they have a proper cleaning method through which the shine of the marble can be retained. Tile, on the other hand, offers a wide range of variety in case of colours and patterns. It is also durable, antimicrobial and fire resistant which are the qualities that stand out. Never the less, it is slippery and people should always take care of this factor to avoid mishaps. Wooden floors are the choice of those people who are looking forward to having a rich and elegant flooring done. As far as Kerala is concerned, there are very few people who prefer wooden floors as it is very expensive. It offers comfort under the foot and provides the option of repolishing as well. But improper maintenance will lead to microbial growth and it would doom the investment done. Hence intensive care must be taken to see to it that wooden floors are retained well. In fact, the option is provided to the luxury flats seekers in Kerala. Flooring is hence mainly, these three options where the people tend to choose according to their requirement on the basis of personal like as well as on the money that they plan to invest on the house. It is always better to think of the perspective that serves the people with long-lasting and durable flooring.